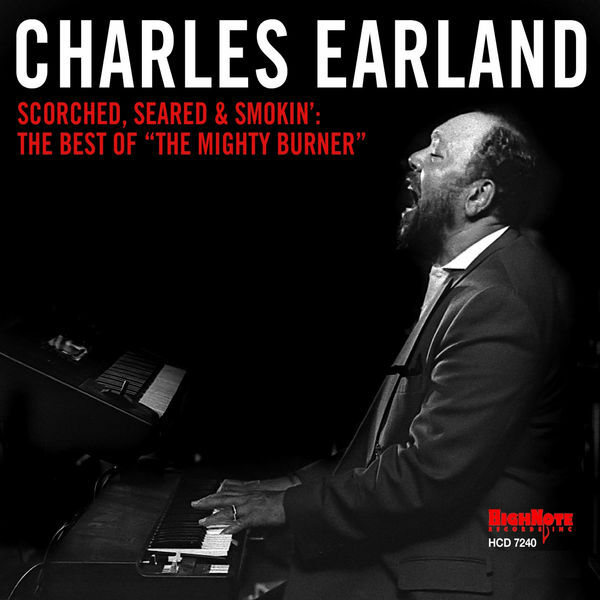 Scorched, Seared and Smokin': The Best of "The Mighty Burner"
Charles Earland, MainArtist - Eric Alexander, FeaturedArtist - C. Earland, Composer Copyright : HighNote Records, Inc. HighNote Records, Inc.
M. Davis, Composer - Charles Earland, MainArtist - Eric Alexander, FeaturedArtist Copyright : HighNote Records, Inc. HighNote Records, Inc.
Charles Earland, MainArtist - Eric Alexander, FeaturedArtist - Isley Brothers, Composer - C.H. Jasper, Composer Copyright : HighNote Records, Inc. HighNote Records, Inc.
Charles Earland, MainArtist - Eric Alexander, FeaturedArtist - I. Reid, Composer - Irene Reid, FeaturedArtist Copyright : HighNote Records, Inc. HighNote Records, Inc.
O. Hammerstein Ii, Composer - R. RODGERS, Composer - Charles Earland, MainArtist - Najee, FeaturedArtist Copyright : HighNote Records, Inc. HighNote Records, Inc.
H. Silver, Composer - Charles Earland, MainArtist - Eric Alexander, FeaturedArtist Copyright : HighNote Records, Inc. HighNote Records, Inc.
Charles Earland, MainArtist - J.E. Zawinul, Composer Copyright : HighNote Records, Inc. HighNote Records, Inc.
V. Feldman, Composer - M. Davis, Composer - Charles Earland, MainArtist - Eric Alexander, FeaturedArtist Copyright : HighNote Records, Inc. HighNote Records, Inc.
D. Bartholomew, Composer - A. Domino, Composer - Charles Earland, MainArtist - Eric Alexander, FeaturedArtist - Irene Reid, FeaturedArtist Copyright : HighNote Records, Inc. HighNote Records, Inc.
C. Scott, Composer - B. BUTLER, Composer - B. Doggett, Composer - Charles Earland, MainArtist - Carlos Garnett, FeaturedArtist - S. Shepherd, Composer Copyright : HighNote Records, Inc. HighNote Records, Inc.
S. Cahn, Composer - Charles Earland, MainArtist - Najee, FeaturedArtist - J. Van Heusen, Composer Copyright : HighNote Records, Inc. HighNote Records, Inc.
A. BAKER, Composer - L.A. JOHNSON, Composer - Charles Earland, MainArtist - Eric Alexander, FeaturedArtist - G.A. Bias, Composer Copyright : HighNote Records, Inc. HighNote Records, Inc.
Charles Earland, MainArtist - H. Hancock, Composer - Eric Alexander, FeaturedArtist Copyright : HighNote Records, Inc. HighNote Records, Inc.
R. MacDonald, Composer - W. Salter, Composer - Charles Earland, MainArtist - Carlos Garnett, FeaturedArtist Copyright : HighNote Records, Inc. HighNote Records, Inc.
C. King, Composer - G. Goffin, Composer - Charles Earland, MainArtist - Eric Alexander, FeaturedArtist Copyright : HighNote Records, Inc. HighNote Records, Inc.
Charles Earland, MainArtist - Najee, FeaturedArtist - C. Earland, Composer Copyright : HighNote Records, Inc. HighNote Records, Inc. Traditional, Composer - Charles Earland, MainArtist Copyright : HighNote Records, Inc. HighNote Records, Inc.
Charles Earland, MainArtist - Eric Alexander, FeaturedArtist - J.A. De Nicola, Composer - D.J. Markowitz, Composer - F.J. Previte, Composer Copyright : HighNote Records, Inc. HighNote Records, Inc.
Charles Earland, MainArtist - S. Turrentine, Composer Copyright : HighNote Records, Inc. HighNote Records, Inc.
Charles Earland, MainArtist - Eric Alexander, FeaturedArtist - Irene Reid, FeaturedArtist - P.N. Upton, Composer Copyright : HighNote Records, Inc. HighNote Records, Inc.